As of this writing, the number one song on the Billboard Hot 100 Chart is a track from Puerto Rican artists Fonsi and Daddy Yankee called “Despacito”. The music video, released in January of 2017, has amassed over 2 billion views on Youtube, and is the fastest in the history of the site to reach this milestone. The track has even been remixed by arguably the biggest pop star on the planet, Justin Bieber. Crossover success like this is historically unparalleled for a Latino musician, so what exactly makes Luis Fonsi’s mega-hit so special? 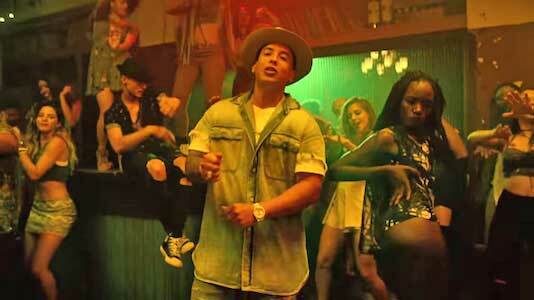 A background dancer wears chucks in the video. The song is a reggaeton-pop track that’s about a man who wants to love his woman slowly (despacito in Spanish means “slowly”), and in an extremely intimate way. Reggaeton is a style of music from Puerto Rico that came to prominence in the late 1990’s. It combines elements of Latin American, Caribbean, and hip-hop music, with songs containing both rapping and singing in Spanish. Daddy Yankee is actually considered the King of Reggaeton by many fans and critics alike, so his verses on the song definitely bring that reggaeton flavor. Fonsi’s vocals are stunning, as they combine the soft loving tone of someone singing a ballad with the rhythmic movement of a hip-hop infused dance track. With all these wonderful elements combined, it’s no secret as to why this song has reached #1 on Billboard, even if a majority of the U.S. population doesn’t understand the lyrics. Daddy Yankee sits a verse on this track from a club. 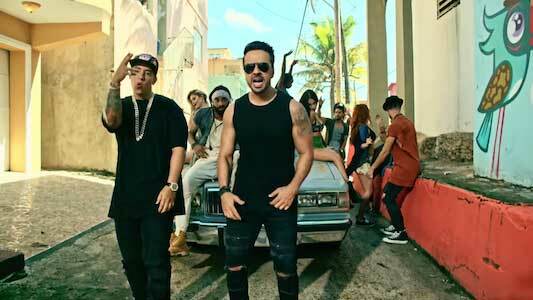 The music video features both Luis Fonsi and Daddy Yankee performing the song in the La Perla neighborhood of Old San Juan, Puerto Rico, and at the local bar La Factoría. They are dressed in all black while everyone around them is dressed in fabulous colors, and that really makes them stand out from the vibrant world they’re in. While Yankee and Fonsi perform, a dance troupe of locals swings and grooves around them, with impeccable moves that goes perfectly with the rhythm of the song. A few of these dancers wear chucks in the video, as do many of the citizens of Old San Juan. The video perfectly blends colors, movement, and music together to create a wonderful Latin experience that bolsters the song’s overall vibe, and pays tribute to the culture that created the music. The video is visually stunning with its use of bright, vibrant colors.